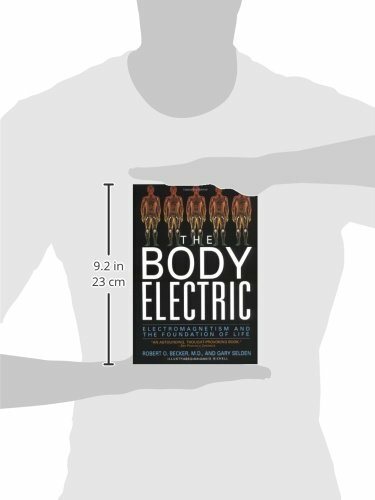 Broschiertes BuchThe Body Electric tells the fascinating story of our bioelectric selves. Robert O. Becker, a pioneer in the filed of regeneration and its relationship to electrical currents in living things, challenges the established mechanistic understanding of the body. He found clues to the healing process in the long-discarded theory that electricity is vital to life. 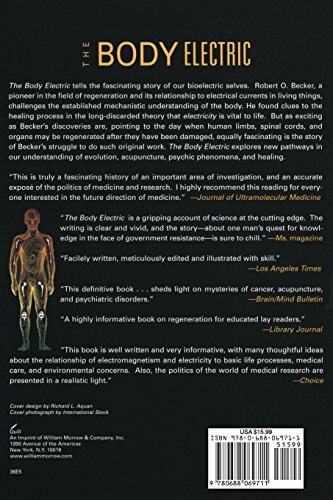 But as exciting as Becker’s discoveries are, pointing to the day when human limbs, spinal cords, and organs may be regenerated after they have been damaged, equally fascinating is the story of Becker’s struggle to do such original work. The Body Electric explores new pathways in our understanding of evolution, acupuncture, psychic phenomena, and healing.